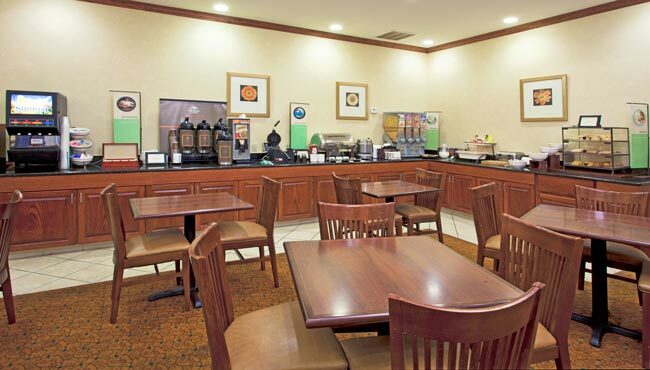 The Country Inn & Suites hotel in Tallahassee, FL serves a complimentary, hot breakfast each morning. Choose from a wide selection of breakfast favorites, including eggs, bacon, waffles and biscuits with gravy. Plan lunch or dinner at one of the restaurants near our hotel, such as Wahoo Seafood Grill or Red Elephant Pizza & Grill.